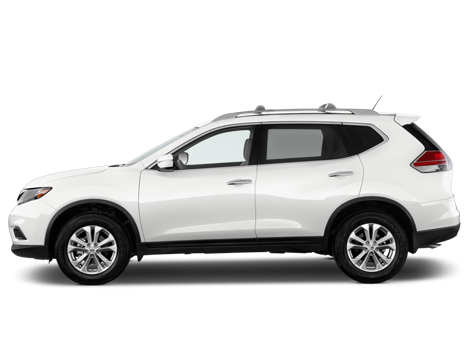 The Nissan X-Trail is not only among the more fuel-efficient 4x4 SUV’s available, it also seats 5 adults with plenty of room left for luggage. It is also available with 7 seats, but in that case a roof box is recommended. It is also worth noting that the room in seats 6 and 7 are more suitable for children than they are for adults. The X-Trail comes absolutely loaded with features to make you drive and stay as effortless and enjoyable as possible. The 360° Camera parking assistant will help you park whenever and wherever you happen to find a spot inside the city, and the navigation system will lead the way once you find yourself cruising along the open road of National Route 1, for example. To make the trip even more comfortable you have USB-connectivity and Bluetooth, and depending on the weather heated front seats and Panoramic sunroof will at some point come in handy. For those wanting to keep an eye on all holiday costs, the average fuel consumption of the Nissan X-Trail is approx. 5.3 litres per 100 kilometres driven. With a fuel tank of 60 liters the fuel range is around 900 kilometres and the luggage space is 550 litres.